The state of Andhra Pradesh has divided into two new states, Andhra Pradesh and Telangana which has created new transboundary water management issues that must be urgently addressed by the new states, and with which Australia is uniquely placed to assist. In India, as in Australia, water management is a state issue. 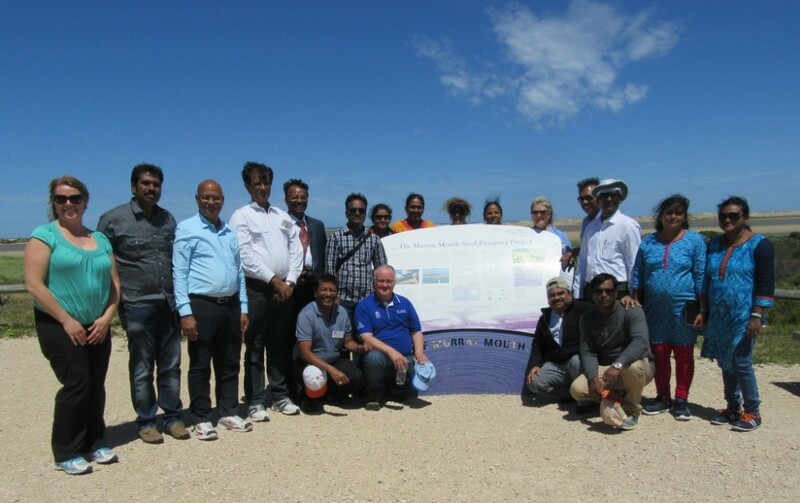 This programme directly addresses thematic priorities of Australia’s aid program, bringing together mid-career professionals in leadership positions from across the two states as well as professionals from the capacity building institution, Water and Land Management Training Institute (WALAMTARI), with which ICE WaRM already has a strong and deepening relationship. The programme engages with the cultural complexities of the governance of water resources in a transboundary context, promoting exchange across boundaries. “Participants will be provided with specific knowledge and leadership skills required to recognise and respond to these challenges, taking account of current trends and future needs,” Dr Ian Reid, ICE WaRM Education Services Manager, said. The focus of the programme is on Policy and Governance, Transboundary Water Resources Management and Leadership for Water Professionals, and it will promote a greater understanding of the importance of change management and collaborative effort. Participants will be equipped to use, adapt and disseminate their new knowledge and skills on return to their home organisations.